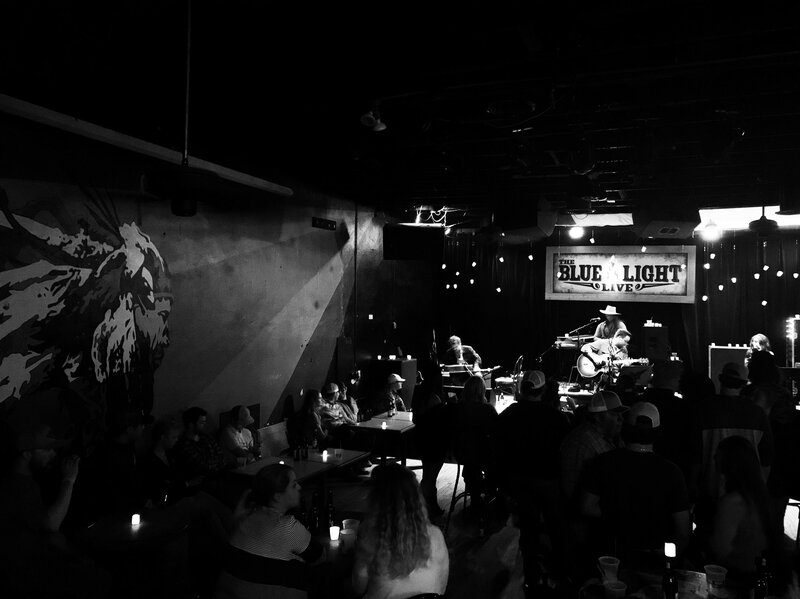 Dalton Domino recorded his first live album this week at the Blue Light in Lubbock, TX. The performance was an intimate candlelit set featuring Domino along with Morgan Reatherford (background vocals), Sam Jones (Keys), and Nick Gardner (Guitar). The set was over two hours and 17 acoustic tracks were played. “I’ve been wanting to do one for a while so I finally pulled the trigger on it. I asked Morgan Reatherford, Sam Jones and Nick Gardner to play on it. They said yes. So we hopped on the van and headed to Lubbock!” Domino told TMP. He hopes to release the live album at the start of next year. It’s no secret the live music venue in Lubbock’s Depot District holds a special place in the singer-songwriter’s heart. Domino got his start playing at the Blue Light and credits finding “his true voice as a songwriter” when he began frequenting the icehouse. His anticipated new studio album “Songs From the Exile”, recorded at Dauphin Street Sound in Mobile Alabama, is expected to hopefully release this year Domino says, sharing with TMP he is still working on it. A recording of a song titled “I’ve Gone Crazy“ was also released back in July and while it’s not on the new album tracklist, it’s definitely not one to miss. As y’all can see there’s a lot to look forward to from Domino! Stay tuned for more details regarding exact release dates for both upcoming albums. Until then, check out Domino’s tour dates this season here. To submit news stories, please contact ChristinaRamirez.TMP@gmail.com.